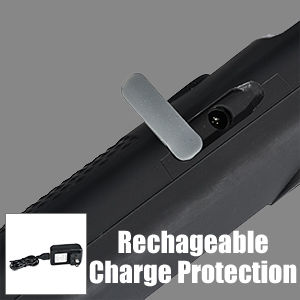 High performance, rechargeable, long running time, long lifespan! Impact resistance, anti-corrosive and no radiation! 4 lighting modes give sufficient brightness for your task and work in dark area! 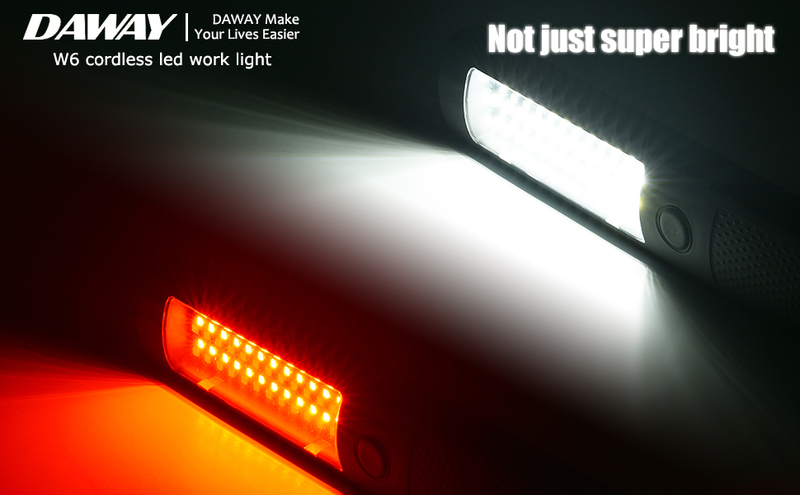 Not only can be used as automotive work light, garage work light, shop work light, also perfect for camping, car repairing , traveling, emergency and blackout, etc! A strong 360 degree rotatable swivel hook to hang your light any where you wish. You can easily maneuver this light to have it focused on whatever your need. 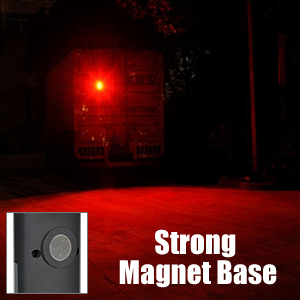 Strong magnet on the back, it can be easily adsorbed on any metal. 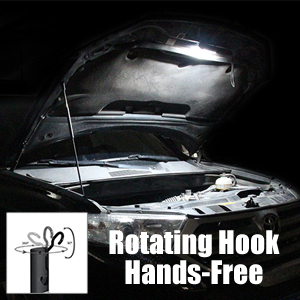 Turns the hanging work light to a magnetic work light stick that can aide you in tough spots. Meet your different needs in different occasions ! 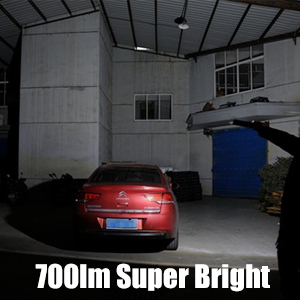 Rechargeable, High Brightness, Up to 700lm. 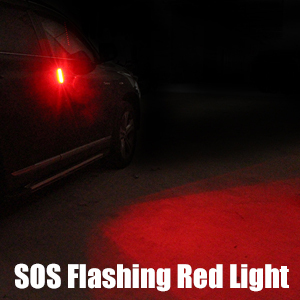 Specifically designed for distress signals or roadside emergencies.